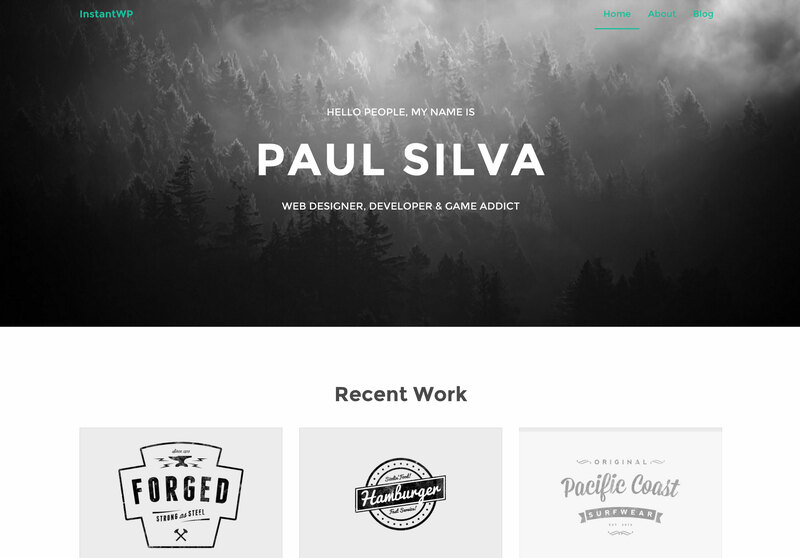 InstantWP is a free Bootstrap WordPress theme with a custom homepage and portfolio layout. This theme is a great fit for a freelance website or a small agency looking to run a blog and display their latest work. This WordPress theme has some great features with a nice look and feel. InstantWP uses the responsive Bootstrap framework so your website will look good on all devices. This theme includes a custom post type to manage your portfolio items from the WordPress Dashboard. Easily customize the theme with the built-in options panel. The options panel includes a simple drag and drop homepage builder for different homepage variations.